CARACAS (Reuters) – U.S. sanctions on Venezuela have led the New York Federal Reserve to crack down on Puerto Rico’s $50 billion offshore banking industry, according to four sources and a document seen by Reuters. The development will prevent the island’s offshore banks, several of which are owned by citizens of crisis-stricken Venezuela, from opening accounts with the Fed that give them direct access to the U.S. financial system. Offshore banks in Puerto Rico are able to open accounts with the Fed since the island is a U.S. territory. That gives them a competitive advantage over other offshore banking jurisdictions like the British Virgin Islands, which have to access the U.S. financial system through expensive third-party correspondent banks. It plans stricter requirements for the opening of such accounts in the future, it said. It did not give further details on why it was taking that step. But the move follows two Puerto Rican offshore banks that have accounts open with the New York Fed being mentioned in federal investigations into money laundering and sanctions evasion related to Venezuela. “The Fed worries about its reputational exposure, just like anybody else does,” said David Murray, a vice president at the Washington-based Financial Integrity Network and a former Treasury Department official. A spokeswoman for the New York Fed did not respond to requests for comment. The decision will only affect Puerto Rican banks that had pending applications with the Fed and will not affect the 17 of Puerto Rico’s 80 offshore banks that the Fed’s website shows already have Fedwire accounts. Reuters was unable to determine how many banks were awaiting responses on their applications to open accounts. The move to suspend account approvals shows how U.S. sanctions on Venezuela, which are meant to force socialist President Nicolas Maduro from office amid a political crisis and an economic meltdown, are having a ripple effect in other parts of the global financial system. It could deal a blow to Puerto Rico, which has been using the offshore sector as an economic development strategy as it struggles with a crushing debt load and the impact of natural disasters such as 2017’s Hurricane Maria. The island has for years nurtured its offshore banking sector by offering tax incentives to bank owners and promoting direct access to the U.S. financial system through the Fed rather than correspondent banks, which charge for their services and can end the relationship at a moment’s notice. Offshore banking lets individuals and companies deposit money outside their countries of residence in order to legally lower tax bills, but criminal investigations and multilateral organizations have alleged it is also used for tax evasion and money laundering. The notice also applies to U.S. Virgin Islands offshore banks. 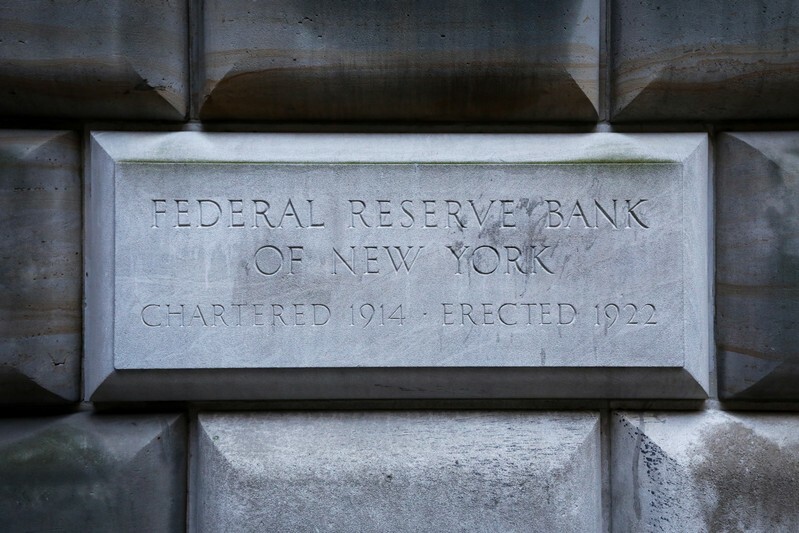 Both territories fall under the jurisdiction of the Fed’s New York branch. “Our office fully shares everything that we find in our examinations, and we share it with all the federal agencies,” Joyner said in a telephone interview. He said “a number” of Puerto Rican offshore banks had been created with Venezuelan capital, without elaborating. The Virgin Islands’ director of banking and insurance did not respond to requests for comment. Sixteen of Puerto Rico’s 80 offshore banking and financial services firms are owned by Venezuelan individuals or companies, according to a Reuters review of their websites, corporate registry records, and directors’ LinkedIn pages and personal websites. Several marketed directly to Venezuelan clients, or had past deals with the Venezuelan government, while twelve of the sixteen had Fedwire accounts, according to the Federal Reserve’s website. Fedwire, a funds transfer system controlled by the Fed, allows banks, businesses and government agencies to send and receive payments in real time. Federal prosecutors in a sprawling corruption probe unsealed in July of 2018 charged Uruguayan national Marcelo Gutierrez with allegedly conspiring to launder funds embezzled from Venezuelan state oil company PDVSA through a “bank in Puerto Rico” that he owned, according to criminal investigation filings in Florida federal court. The prosecutors’ complaint does not identify the bank and says the transaction never took place. Gutierrez’s LinkedIn profile lists him as a director at Vestin Bank International, which Puerto Rico banking regulator records show received a license to operate as an offshore operation on the island in 2015. Vestin has since been acquired by Asia-focused Standard International Bank and Gutierrez has not been a shareholder since August of 2018, Standard said in a statement, adding that it had no links to Vestin’s prior business, no ties to Venezuela and no plans to enter the Venezuelan market. In February, the FBI raided Puerto Rican offshore bank Banco San Juan International (BSJI) as part of a probe of money laundering and evasion of Venezuela-related sanctions, special agent Douglas Leff told reporters at the time. A spokesman for the FBI San Juan field office declined to provide further details. In 2016, BSJI reached a $300 million credit agreement with PDVSA, according to PDVSA’s financial statements from that year. BSJI also has an account with the Fed, according to Fed records. In a statement, BSJI said it had complied with all U.S. sanctions and was cooperating with the FBI investigation. The source at the bank in Puerto Rico, along with Joyner and Nissman, said most of the island’s offshore banks applied strict scrutiny on customers, and that the decision would punish an entire sector for the actions of a few bad actors. PARIS (Reuters) – Drinks group Pernod Ricard is having regular and “courteous” talks with activist investor Elliott, although it is not necessarily meeting Elliott any more than it would with any other regular shareholder, the head of Pernod told Reuters. “There is a regular dialogue between the teams, but we do not see them more than other shareholders. My ambition remains to deliver on our strategic plan, that’s my motto,” CEO Alexandre Ricard said in a telephone interview. Pernod, which is the world’s second-biggest spirits group behind Diageo, is under pressure from New York hedge fund Elliott Management to improve profit margins and corporate governance. In February, Pernod vowed to lift its margins and shareholder returns under a three-year plan that Elliott described as a first small step. Last month Bloomberg reported Pernod was considering the sale of its wine division, which includes Australian brand Jacob’s Creek and Spain’s Campo Viejo and makes roughly 5 percent of group sales. 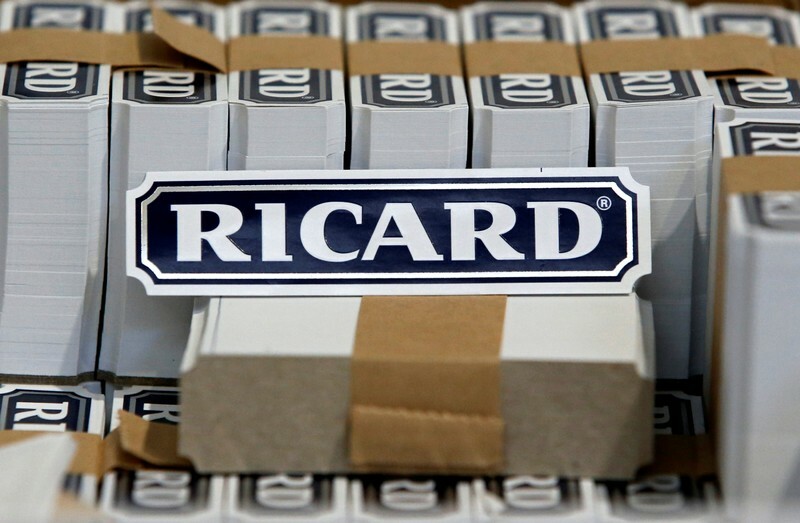 Ricard, whose company makes Havana Club rum in Cuba, added he was “not worried” about Pernod’s business in Cuba, despite latest moves by U.S. President Donald Trump’s administration. 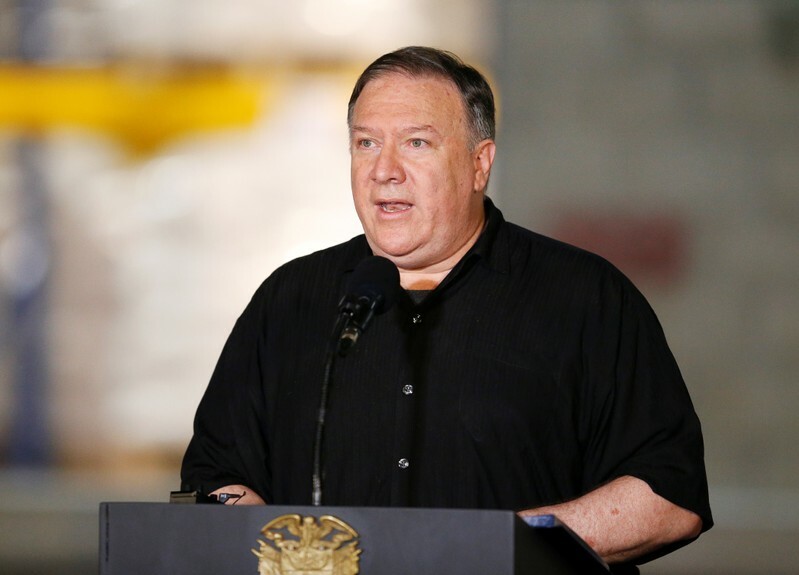 The Trump administration is lifting a long-standing ban against U.S. citizens filing lawsuits against foreign companies that use properties seized by Cuba’s Communist government since Fidel Castro’s 1959 revolution, Secretary of State Mike Pompeo said on Wednesday. The major policy shift, which the State Department said could draw hundreds of thousands of legal claims worth tens of billion of dollars, is intended to intensify pressure on Havana at a time Washington is demanding an end to Cuban support for Venezuela’s socialist president, Nicolas Maduro. “The troika of tyranny — Cuba, Venezuela and Nicaragua — is beginning to crumble,” Bolton said in a hard-hitting speech near Miami on the 58th anniversary of the United States’ failed Bay of Pigs invasion of the island, an attempt to overthrow the Cuban government. 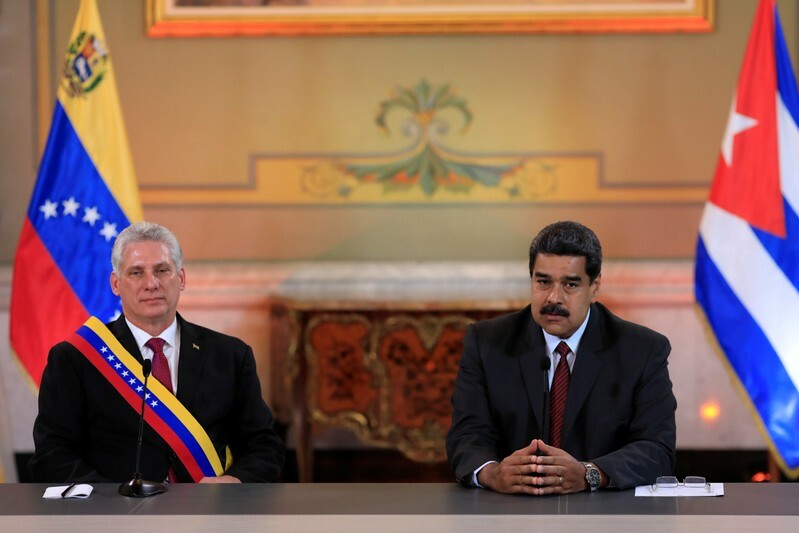 Bolton also announced that the U.S. was sanctioning the Central Bank of Venezuela, which the Trump administration says has been instrumental in propping up the embattled government of Venezuelan President Nicolas Maduro. He also announced sanctions against financial services provider Bancorp, which he claimed is a “slush fund” for Nicaragua’s President Daniel Ortega. “The United States looks forward to watching each corner of this sordid triangle of terror fall: in Havana, in Caracas, and in Managua,” Bolton said in South Florida, which is home to thousands of exiles and immigrants from Cuba, Venezuela and Nicaragua. He said Obama administration policies gave the Cuban government “political cover to expand its malign influence” across the region, including in Venezuela. Cuba has trained Venezuelan security forces to repress civilians and support Maduro, Bolton said. Bolton’s pledge to “never, ever abandon” the people of Cuba, Venezuela and Nicaragua in their fight for freedom also might ring hollow in light of the historical events he sought to highlight at the event hosted by the Bay of Pigs Veterans Association. Meanwhile, with the high stakes of the Cold War a fading memory, some critics of U.S. policy toward Venezuela worry that the Trump administration’s stance that all options are on the table, including a military one, to oust Maduro is an empty threat that will only serve to ignite the streets and geopolitical tensions with Russia, compounding the misery of Venezuelan citizens. “Honoring one of U.S.’ greatest military fiascos from 60 years back suggests U.S. policy to Latin America owes more now to a perverse Cold War nostalgia than practical benefits for people of the region,” said Ivan Briscoe, the Latin American director for the International Crisis Group, a think tank headquartered in Brussels. 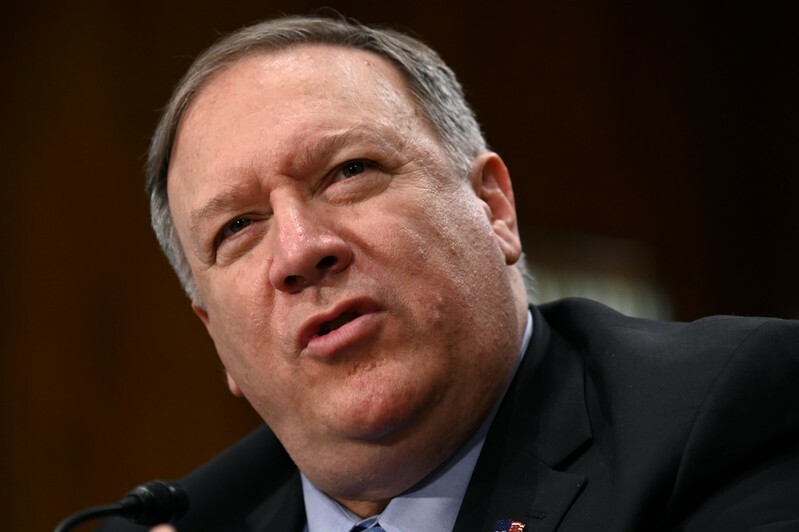 Pompeo said he won’t renew a bar on litigation that has been in place for two decades, meaning that lawsuits can be filed starting on May 2 when the current suspension expires. 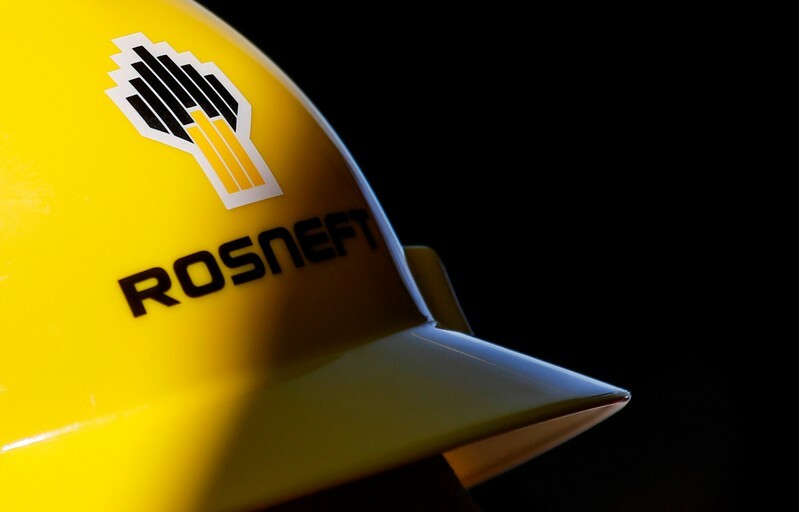 The decision could cost dozens of Canadian and European companies tens of billions of dollars in compensation and interest. Pompeo’s decision gives Americans the right to sue companies that operate out of hotels, tobacco factories, distilleries and other properties Cuba nationalized after Fidel Castro took power. It allows Cubans who became U.S. citizens years after their properties were taken to sue. “European companies that are operating in Cuba will have nothing to worry about if they are not operating on properties taken from Americans,” she said. The decision deals a severe blow to Havana’s efforts to draw foreign investment to the island and comes as Trump steps up pressure to Venezuela’s Maduro , who is holding power with help from other countries, including Cuba, China and Russia. Johana Tablada, Cuba’s deputy director of U.S. affairs, said on Twitter: “Before they try to euphorically ride a wave of wickedness and lies, they should take a dose of reality. The world has told John Bolton and the U.S. government to eliminate the criminal blockade against Cuba and the Helms-Burton Act” of 1996. But President Donald Trump’s decision, which was quickly denounced by Cuba as “an attack on international law,” could also further strain economic relations with U.S. allies in Europe and Canada, whose companies have significant interests on the island. Trump’s national security adviser, John Bolton, will discuss the administration’s decision in a speech on Wednesday in Miami, where he will also announce new sanctions on Cuba, Venezuela and Nicaragua, countries he has branded a “troika of tyranny,” a senior U.S. official said, speaking on condition of anonymity. Pompeo said the Obama administration had played “a game of footsie with the Castros’ junta” and accused the Cuban government of widespread human rights abuses. “Detente with the regime has failed,” he told reporters. It was unclear, however, how such property claims, some of which involve complex legal matters, will fare in U.S. courts. A joint EU-Canada statement said the U.S. move was “regrettable” and will have an “important impact on legitimate EU and Canadian economic operators in Cuba.”Kim Breier, U.S. assistant secretary of state for Western Hemisphere affairs, said the administration had been in close contact with allies in Europe and elsewhere before the Cuba decision and that a “vast number” of European firms operating there would not have any problems. U.S. officials left no doubt that the Helms-Burton decision, which takes effect on May 2, is part of the Trump administration’s effort to force Cuba to abandon Maduro, something Havana has insisted it will not do. Washington says Havana’s security and intelligence support is critical to Maduro’s grip on power amid Venezuela’s economic and political crisis. Venezuelan opposition leader Juan Guaido invoked the constitution in January to assume the interim presidency. The United States and most Western countries have backed Guaido as head of state. Maduro, backed by Cuba, Russia, China and the Venezuela military, has denounced Guaido as a U.S. puppet who is seeking to foment a coup. Trump’s toughened stance on Cuba as well as Venezuela has gone down well in the large Cuban-American community in south Florida, an important voting bloc in a political swing state as he looks toward his re-election campaign in 2020. CARACAS (Reuters) – The first shipment of humanitarian aid from the Red Cross intended to alleviate a dire economic crisis in Venezuela arrived in the once-prosperous, oil-rich country on Tuesday, a representative of the organization and a lawmaker said. “The International Red Cross today delivered its first batch of support for Venezuela, together with the revolutionary government that I lead, and it was received in a legal and orderly way, complying with international protocols,” Maduro said in a speech broadcast on state television. There was little hope that the shipment – intended to help hospitals cope with shortages of equipment and frequent power outages – would be anything more than a palliative measure for Venezuela, where over three million people have fled the chaos of hyperinflation and chronic shortages of food and medicine. But opposition lawmaker Miguel Pizarro said the lack of “interference” by Maduro’s government with the entry of aid was a positive step and that more shipments would arrive in the days ahead. “The same people who had previously denied the arrival (of aid), who had previously brought this country to the verge of confrontation, are today complying with humanitarian principles,” Pizarro told reporters at the Congress, adding that the Red Cross would handle the logistics of distribution. Venezuela was plunged into a political deadlock in January, when Juan Guaido, the leader of the opposition-controlled National Assembly invoked the country’s constitution to assume an interim presidency, arguing Maduro’s 2018 re-election was illegitimate. Guaido has since been recognized as Venezuela’s rightful leader by most Western nations. Several countries, including the United States and neighboring Colombia, contributed to a February effort to deliver aid across Venezuela’s land borders, in the hopes soldiers would disavow Maduro’s orders to block it. While that effort failed, the International Federation of the Red Cross and Red Crescent Societies said in late March it was prepared to start an aid operation. 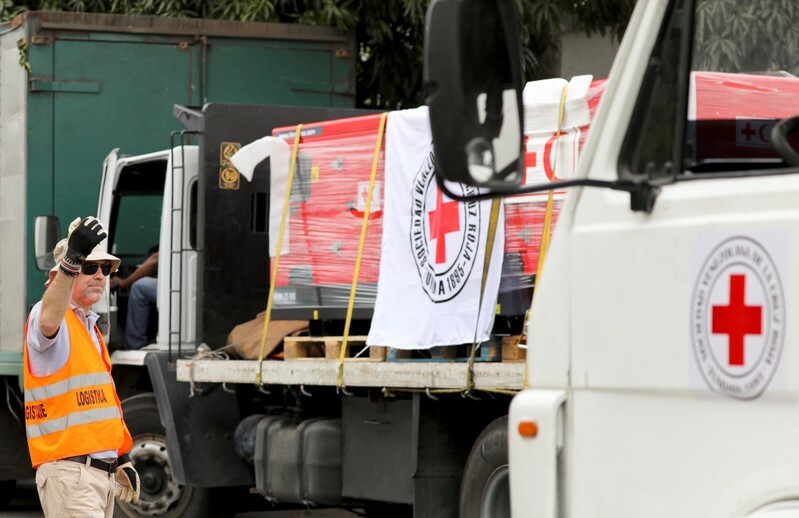 Tuesday’s shipment, which arrived via airplane from Panama, included 14 power generators, 5,000 liters of distilled water, and three surgery equipment kits capable of serving 10,000 patients each, according to the Red Cross. Mario Villarroel, the Red Cross’ president in Venezuela, said on Twitter that the materials would be distributed to hospitals around the country. The United Nations estimates that a quarter of Venezuelans are in need of humanitarian assistance, with 1.9 million suffering from malnutrition and some 300,000 whose lives are at risk due to lack of medicine. Stepping up pressure on Cuba, President Donald Trump is poised to allow lawsuits against foreign companies that have benefited from Cuba’s seizure of American companies after the 1959 revolution, a senior administration official said Tuesday. The 1996 Helms-Burton Act gave Americans the right to sue companies profiting from properties that Cuba confiscated. But every U.S. president since Bill Clinton has suspended the key clause because of fears of alienating U.S. allies and complicating relations with Cuba. The official said going forward, there will be no more waivers. The official spoke on condition of anonymity ahead of the official announcement. The Trump administration had signaled plans to end the waivers. It’s taking the step in retaliation for Cuba’s support of embattled Venezuelan President Nicolas Maduro, whom the U.S. is trying to oust in favor of opposition leader Juan Guaido. National security adviser John Bolton is expected to discuss the new policy during a speech Wednesday in Miami, which is home to thousands of exiles and immigrants from Cuba, Venezuela and Nicaragua. The speech at the Bay of Pigs Veterans Association is being delivered on the 58th anniversary of the United States’ failed 1961 invasion of the island, an attempt to overthrow the Cuban government. WASHINGTON (Reuters) – The International Monetary Fund will not be able to help Venezuela deal with its economic crisis until a “large majority” of its members decide who to recognize as the country’s leader, the head of the global lender said on Saturday. Managing Director Christine Lagarde said the IMF “can only be guided by the membership, so it’s not a question of us deciding” whether to help in the event that Venezuela’s government reaches out to the Fund. More than 50 mostly Western countries including the United States and Venezuela’s largest neighbors have recognized opposition leader Juan Guaido, the head of Venezuela’s National Assembly, as the South American nation’s leader. U.S. Treasury Secretary Steven Mnuchin said separately on Saturday that he has had discussions with the IMF about the process for recognizing Guaido as Venezuela’s leader. 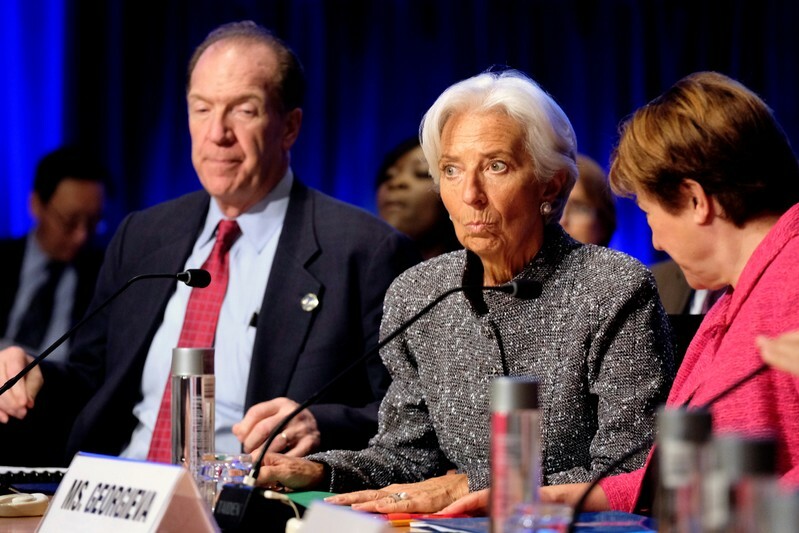 Earlier this week Lagarde and World Bank President David Malpass said separately they are preparing to move quickly to help ease Venezuela’s worsening humanitarian crisis, but the leadership question is standing in the way. Based on the countries which have publicly supported Guaido or Maduro and their voting weighting inside the World Bank and IMF, Guaido’s representative could get slightly more than 50 percent of a vote according to a Reuters tally. No such vote has yet been called for.